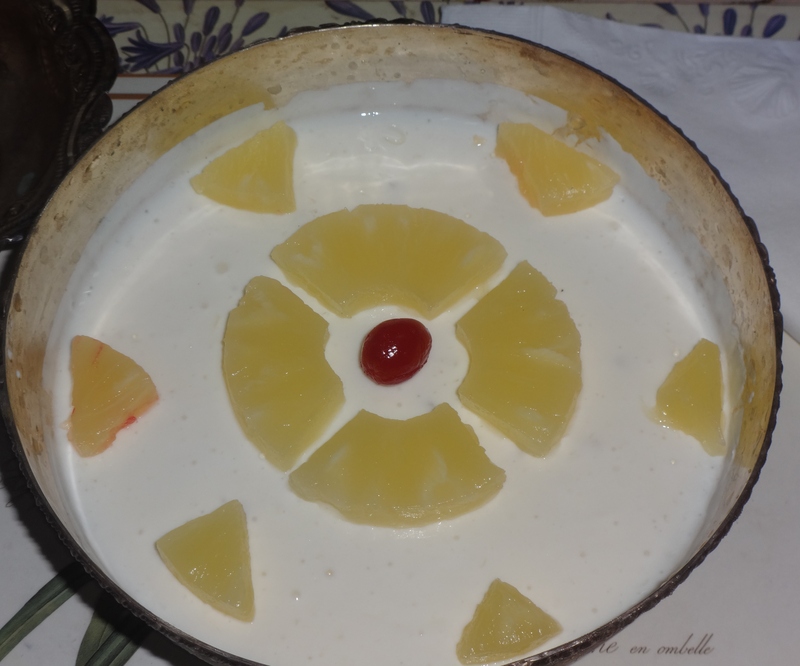 Pineapple Yogurt Delite is one of my favorite desserts to make on hot summer days! With some old friends coming over for lunch today, this seemed to be the perfect sweet to prepare. This simple dessert with only 5 ingredients, never fails to appeal and is a surefire hit! 1. In a mixing bowl take the yogurt, cream and sugar and mix well. 2. 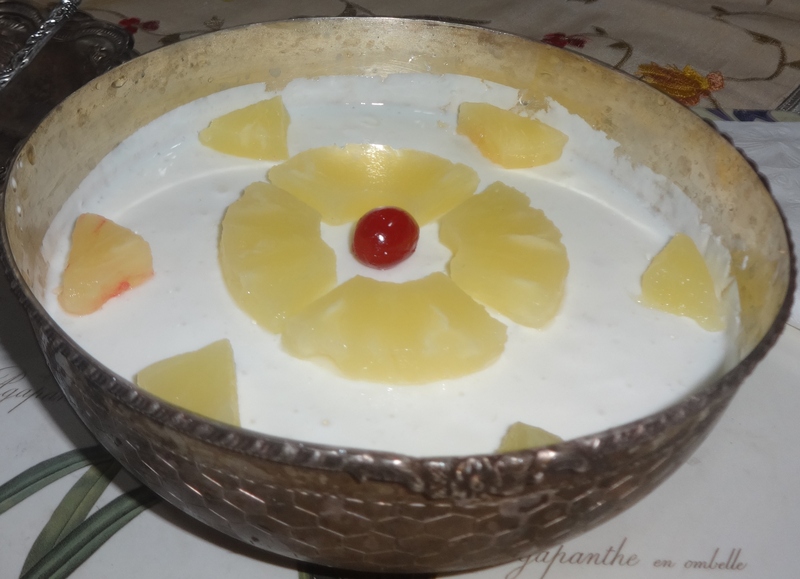 Cut the pineapple into small pieces and add to the above mixture. 3. Soak the gelatine leaves for 5 minutes in cold water. Squeeze the water out and then melt the leaves in a pan over low heat. Now add this to the yogurt mixture and stir well. 4. Pour this into a serving bowl and keep it in the fridge for setting (roughly 4-5 hours). 5. Once it is set, decorate it with pineapple slices. Enjoy!